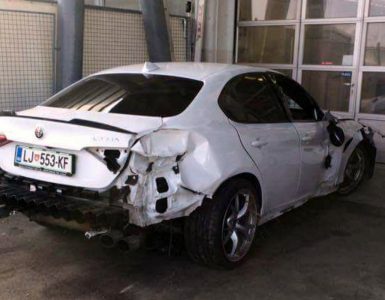 Someone crashed a brand spanking new “test” white Alfa Romeo Giulia Quadrifoglio in Slovenia..
20 mountain passes, 9 different Porsche models, 4 days. I believe you can’t describe the perfect road trip with a shorter sentence. The best sounding emergency vehicle ever!